Christmas of Discovery Audio Devotion: The Season of Going Home | Jump for Joy! While I am enjoying where I am this Christmas, there is still a part of me that longs for Christmas Past. Some of you may share the feeling. Christmas Past can be a place we miss … the house with the doors that swung open to greet us … the place that signified warmth, comfort, and safety. But for many of us, the place matters only because of the loved ones who once occupied that space with us. Christmas does bring grief into full bloom, as we remember sharing holidays with those who cannot share them with us now. Some people mistakenly believe we should never talk about those who are no longer with us. However, to attempt to bury the memories of a loved one, along with burying their body, is truly to lose the beauty God intended for us to keep. 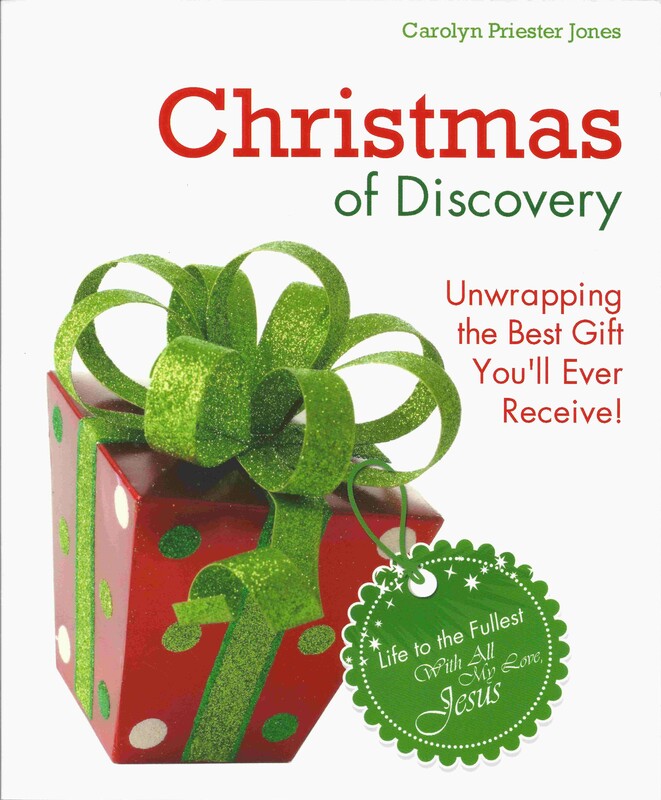 Chapter Twenty-One of Christmas of Discovery invites you into Joyful Remembrance. The best way we can remember those we love is to take what we have learned, received, heard or seen in them … and with God’s Grace and Direction … go forth into the world and pass it on. One of those Christmas stars you see blinking in the distance may be the vantage point from which the one you love is cheering you on! After my mother’s promotion to Heaven, God comforted me by hearing Philippians 4: 8-9, as she would have said it. To listen to Chapter Twenty-One, click on the title, The Season of Going Home. Posted by carolynpriesterjones on December 21, 2013 in Christian, Encouragement, Joy and tagged Christian, Death, Encouragement, Gift of memory, god, God's comfort, Grief, Holy Spirit, Jesus, Joy, Memories of those who have died.